Oh! A Honey Show is just like a horse race – best one wins. Wrong! It is all about marketing! 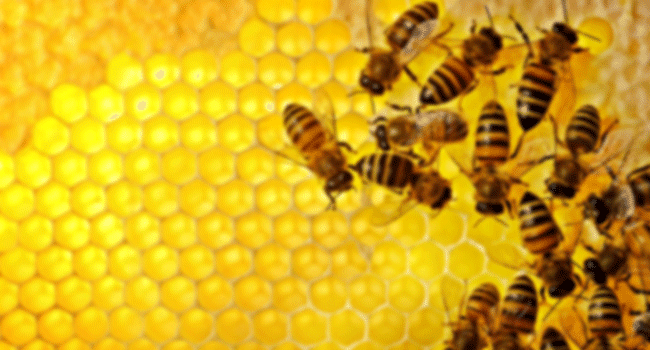 Honey is a variable agricultural product – just like corn, tomatoes, apples, chickens. Some years the weather is excellent and quality is excellent. Other years, weather is terrible or disease strikes and yield is poor or quality is awful. Agriculture fairs or shows have a centuries-long history. Today we have newspapers and other printed material, as well as the internet and other electronic communications. Step back in time several centuries and communication was difficult, especially in rural areas. You could walk or go by oxcart – both very slow for transmittal of information. Traveling by horseback or horse-drawn carriage was faster but still had its limits. How could anyone relay information about the magnificent stallion available for breeding or that the cabbage crop was not only plentiful but also the best quality? The answer was to have a fair where people could bring their livestock and samples of crops and have an independent judge to decide the best. Today the agricultural fairs still exist in counties and in states around the U.S. Some of these are large and some are small but the entries in the various categories are still reviewed by independent judges, experts in their particular field. 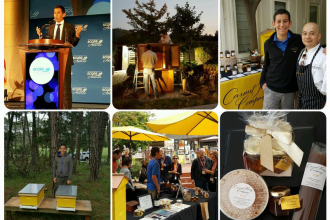 Honey, hive products and related beekeeping items are a part of many agricultural fairs today. 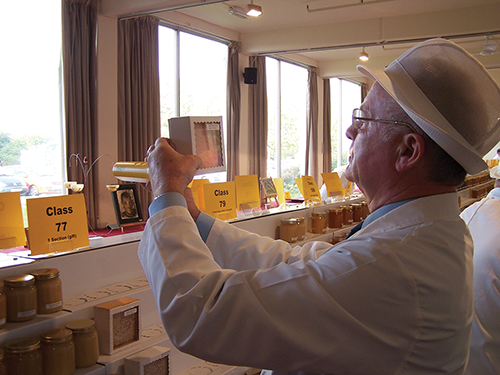 Beekeeping associations – local, state, regional and national also have honey shows. 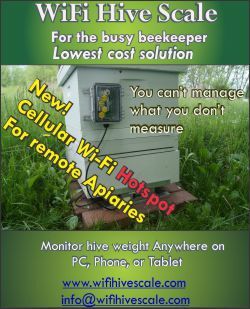 If your local club or state association does not have a honey show, then make plans to have one. Start small and plan to expand as the need arises. However the purpose – improvement of a product for market – needs to be emphasized. Consumers want value for their money. Consumers are looking for a quality product. Keep this in mind the next time you shop for food whether it is at a huge supermarket or at a farmers’ market. You, as a consumer spending your money, will walk past the wilted lettuce; ignore the tomato with a sunken black spot; replace on the shelf the jar of sauce with something sticky on it; shove the dented can aside to select one without a dent. 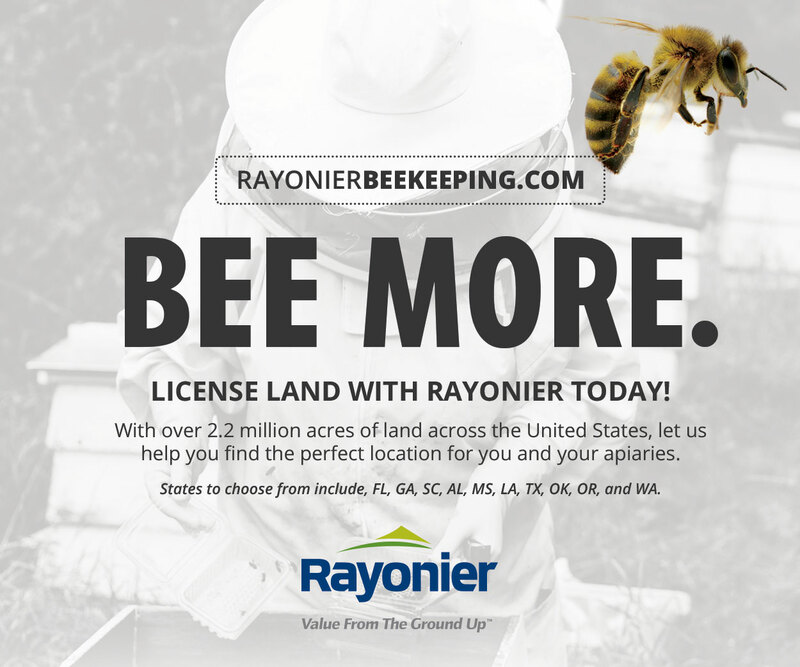 You are a beekeeper. You know that a bee leg floating on top in a jar of your own honey came from one of your bees. So what. You know the foam on top is because you filled the jar too fast. Doesn’t matter. You know that those weird looking crystal clumps are because your bees visited some particular nectar source. Stupid bees. Now let’s consider what the customer thinks. What’s that floating thing? Ugh, it looks like some bug part. 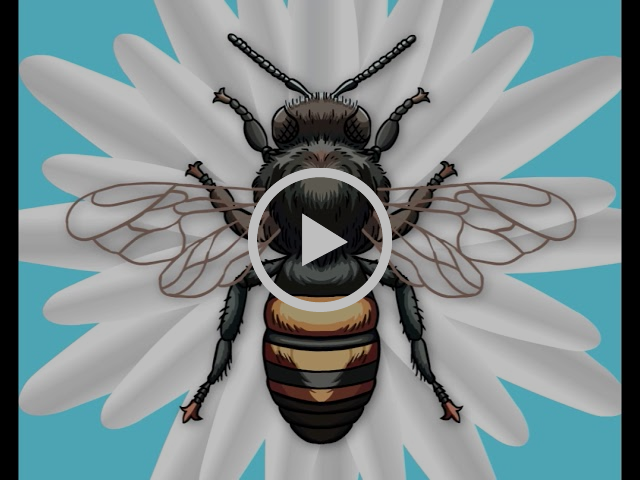 Bees are good because they pollinate but bugs are icky. All that foam on top? Ewww – it has spoiled! What are those clumpy things in the honey? They don’t look edible. 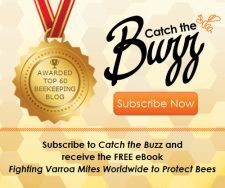 Although some customers may understand, you are not always at their side to explain the mystery items in your honey or why the jar isn’t filled correctly or to hand them something to wipe the sticky off their hands. If customers find your honey has consistently good quality they will continue to be customers and also recommend your product to others. 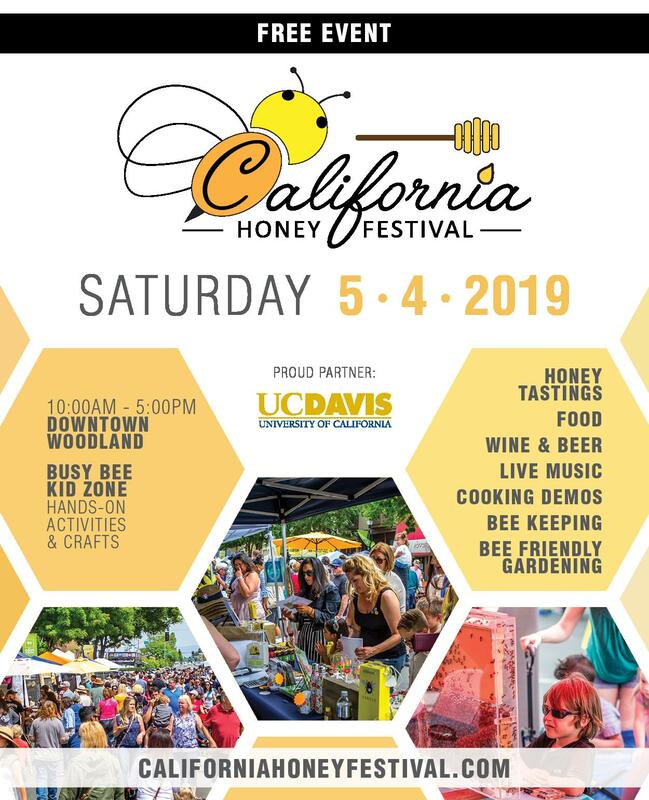 So let’s have a honey show and discover ways to improve not only liquid honey but also other hive products such as creamed honey, comb honey, beeswax and even other items related to beekeeping. Comb honey is a category. All cells filled and cappings even. 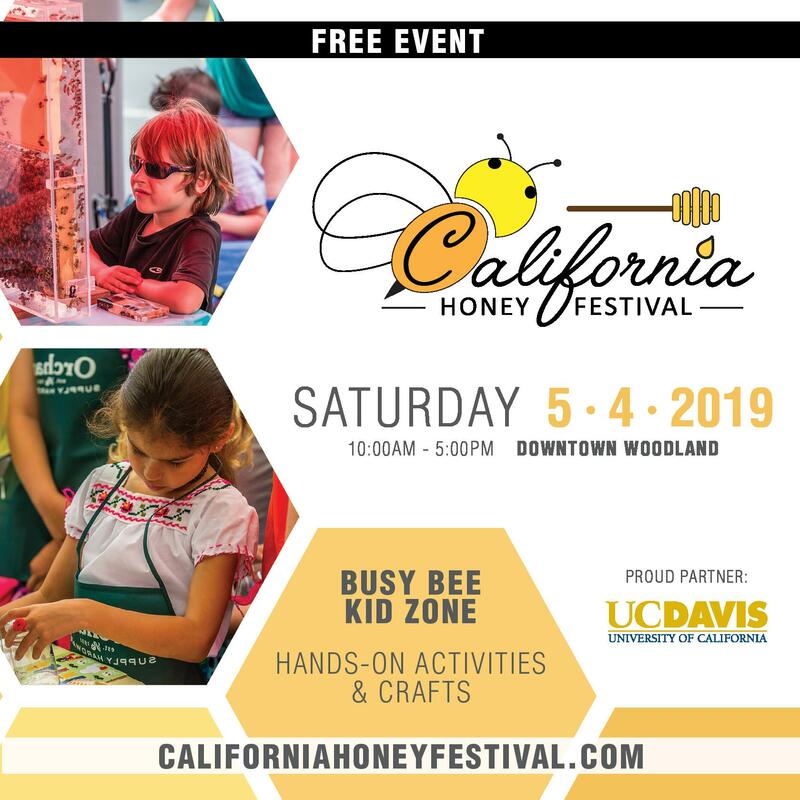 Honey shows, in general, will have classes for liquid extracted honey. That is, after all, the most common way honey is sold in this country. 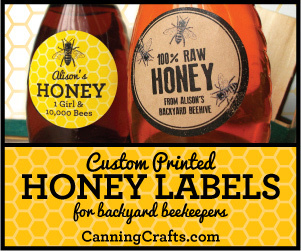 Anther honey class can be for creamed honey. Chunk honey, a piece of comb surrounded by liquid honey, is popular in some parts of the country but not in others. 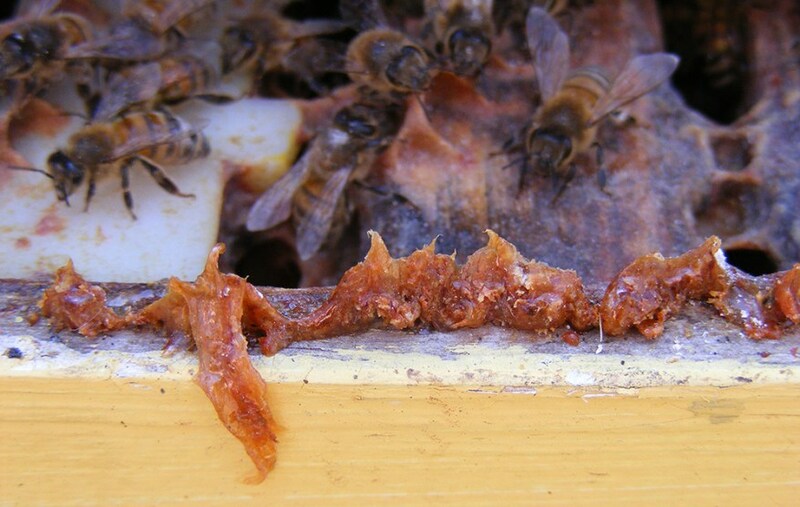 Comb honey can be in round sections or as cut-comb. Sometimes you will find a class for a frame of honey suitable for extracting. 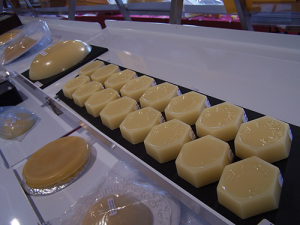 Wax blocks should be blemish free – uniform weight. 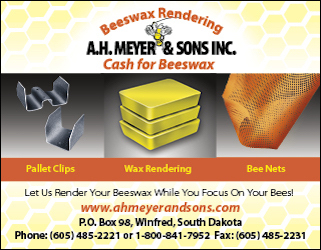 Beeswax will be shown as a block, weight usually specified. Other beeswax entries can be candles of various kinds and even artistic beeswax. 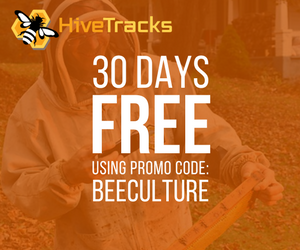 You occasionally find classes for products made from honey, beeswax and propolis. 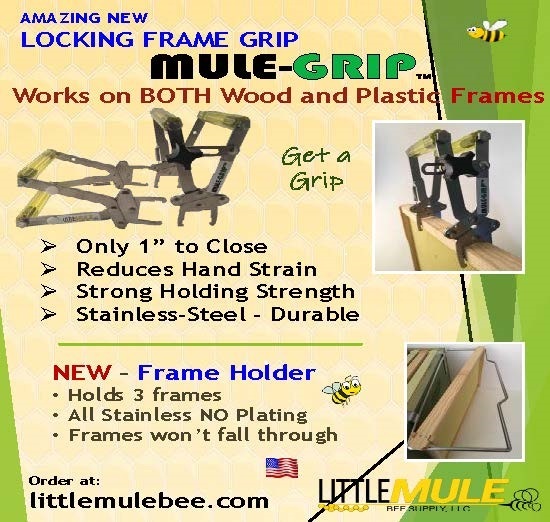 Beekeepers love to invent gadgets that are an aid to beekeeping. Some shows will have a class for those. 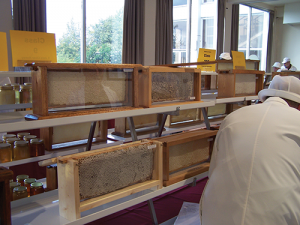 Arts and crafts classes, with a beekeeping theme, are popular. Everyone is taking photographs today so many shows, even small ones, may have several classes. A gift basket class may have a theme specified, such as for a birthday or a specific occasion. Classes for mead and honey beer have become popular. These are the colors used in the U.S. 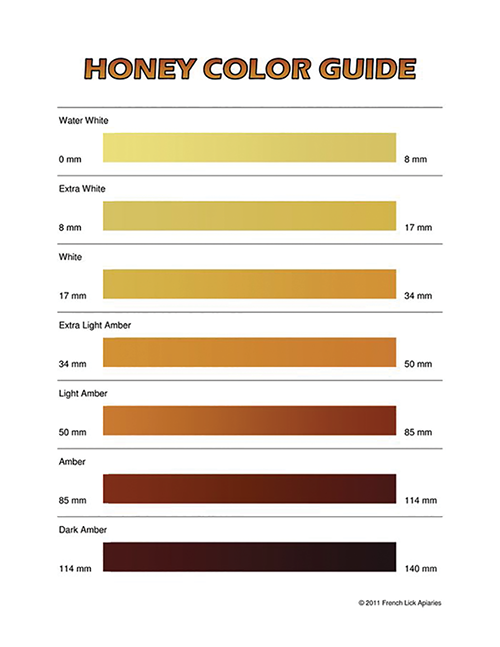 In the U.S. we have seven different color classifications for liquid honey: water white, extra white, white, extra light amber, light amber, amber and dark. You can purchase two kinds of color graders: one is a simple card fan of colors, the other an expensive electronic color grader. 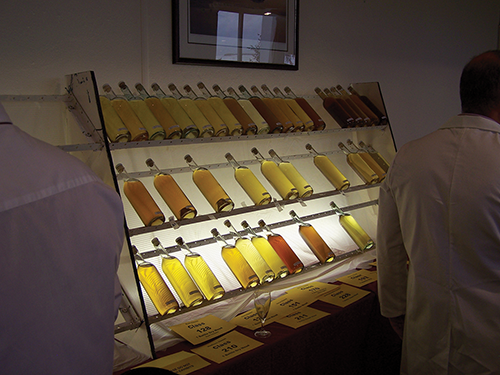 However an experienced honey judge can place the colors separately from experience. It is important to keep in mind that all the seven colors will not be encountered everywhere in shows around the country. 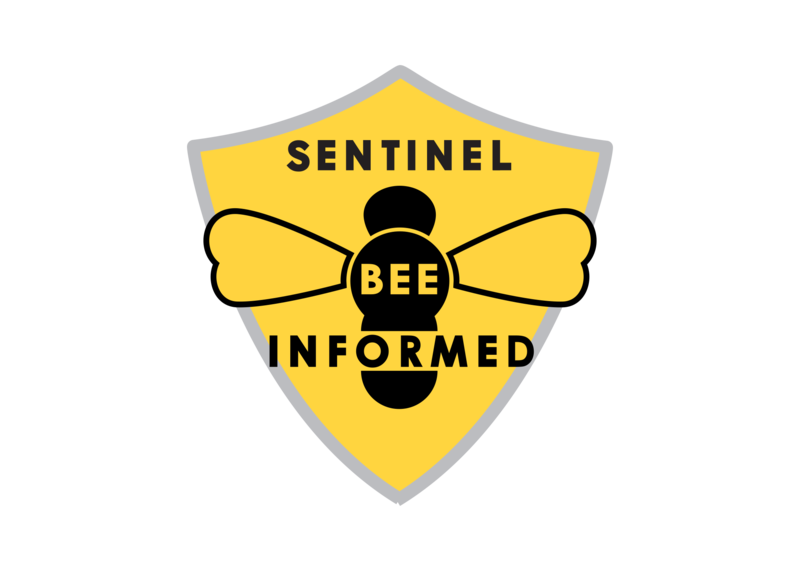 In addition bees can and do visit many plants to collect nectar that may be classed as “wildflower” instead of a completely pure source. Entries in a large national show would need all the color categories, but only three or four would be needed in smaller shows. Grouping honey by color is done so that the characteristics are more likely to be the same throughout a class. Every show needs a set of rules. Why? To have a “level playing field.” The rules let entrants know just how to present their entry so that everyone has an equal chance of winning a class. 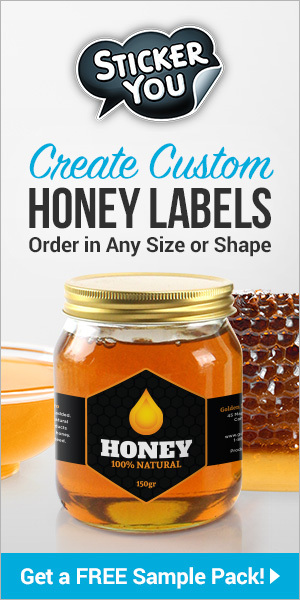 For example, liquid extracted honey may be required to be in one-pound queenline-type jars with no labels. In large shows your single entry may be three or more jars; smaller shows may require only one jar. Rules should be made available as soon before the show as possible. Harvest time varies across the country. If this year’s rules have changed from last year’s rules, call attention to that so entrants have warning. 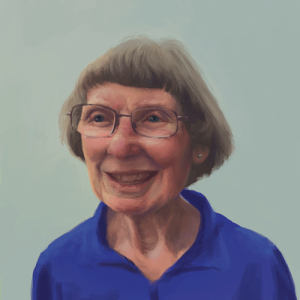 One important rule is the one that states: Only one entry in each class may be exhibited by an individual, that individual’s family, or that individual’s apiary. That eliminates multiple entries of the same item in a class. In other words, it makes a level playing field. 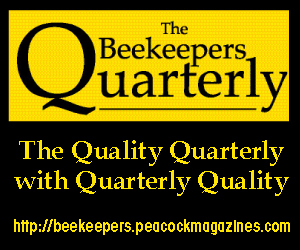 The U.S. is a large country with many beekeeping associations, large and small. Agricultural fairs can be small local ones or large statewide ones. Therefore the rules and classes and judging criteria can be different. It is up to the person entering to know the rules and keep up with any changes. To put on a honey show it is necessary to have a number of good volunteers. Someone needs to take the entries and keep good records of “who” and “what” and “what class.” Someone needs to make certain that the entry is in the correct class. The judges can reassign liquid extracted honey by color if necessary as long as no duplicate entry has been made. Someone has to prepare the room. The judges appreciate stewards to help with the jars – perhaps loosening the caps or putting them back on. It is necessary for someone to check the score sheets for arithmetic errors. Ribbons may need to be attached to entries. If it is the first honey show given by a club then make notes for improvement for the following year. It is much better to have too many helpers than not enough. Be certain to thank them and recognize them during announcements. Mead entries will be tasted. The show organizers need to recruit judges. If it is a very small show then one judge may be adequate. If it has the possibility of being larger than expected, more judges may be needed. Sometimes it will be necessary to have specialty judges, such as for artwork and crafts, photography, mead, honey beer. If the honey classes are huge having two judges working together can work very well. Today two different judging criteria are being used. Let us call one the U.S. Method that has been used for very many years throughout the country. Honey judges can learn by being an apprentice judge working with an experienced one or, in some cases, by attending workshops given by a bee club. The second is the Welsh Method, used in the UK. 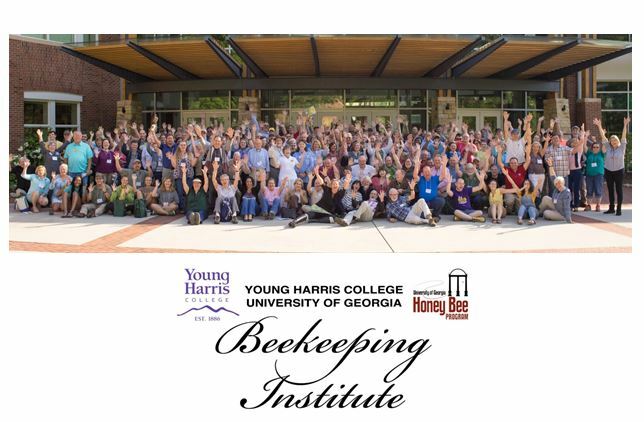 This was introduced in the US at the University of Georgia & Young Harris Beekeeping Institute (YHBI). To become a Welsh judge, exams must be taken either at the Institute or at the Florida Bee College. The U.S. Method uses score sheets with numerical values given. In liquid honey classes, instruments, such as refractometer (water content) and polariscope (cleanliness, crystallization) are used. In measuring the water content, listed in score sheets as density, usually any reading above 18.6% disqualifies the entry because fermentation could occur. The polariscope can determine and distinguish lint, air bubbles, miscellaneous dirt, flakes of wax, and crystals. Flavor is judged only on faults due to removal and processing of honey, such as residues from bee repellents and scorching from overheating. The judge’s personal dislike of a honey flavor (such as buckwheat) is not to be considered. The U.S. honey plants (over 300, many of which are regional) have a very large range of flavors. The fill of the jar is important. Queenline-type and round jars have a bead just under the threads. If the jar is filled correctly it will contain the one pound of honey that it should. Honey level below the bead is underfilled. Honey level should be about 3/8 inch, maximum of ½ inch, from the jar top with no visible gap between bead and cap. Cleanliness of jar and cap is also judged. Today perfect glassware does not exist but in the distant past it was also judged. Frame surfaces uniform, filled to edges and wood clean as a whistle. In the Welsh Method, three color classes are used, graded by using squares of colored glass into light, medium and dark. The density is tested with a tiny glass spoon dipped into the honey and then raised up. Several dippings can be done. With practice, honey with a proper viscosity – not to thin and runny or too viscous – can be determined but it does not receive a numerical score. A flashlight is used to look for crystals, air bubbles and dirt. The flashlight can be moved around, shining from behind and from the bottom of the jar. Cleanliness of jar and cap are judged, as well as correct fill. The flavor is important. If the judge does not like the flavor then that entry will not win a ribbon. The judge’s comments on the entry are written on a file card. The Black Jar Class was introduced into the U.S. when the Welsh method was introduced. A small jar is painted black on the outside so the color (and any impurities) cannot be seen. Usually all the entries in the class will be tasted by one judge. One jar is the winner – the flavor the judge likes the most; therefore judging is highly subjective. It has become a popular class with many entries in some honey shows. 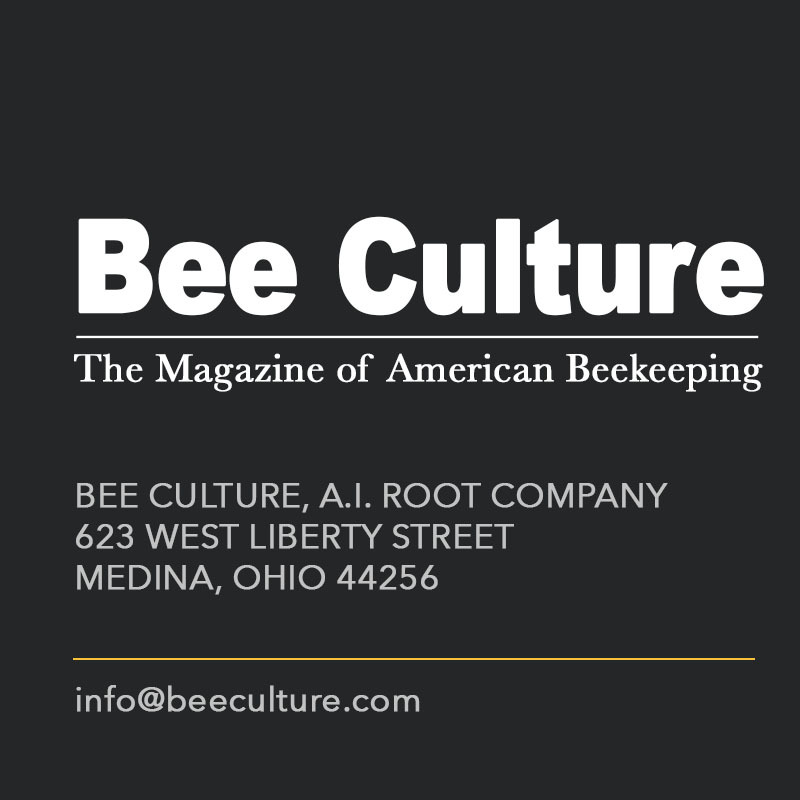 Beekeepers who are seeking to improve their marketing skills can search for honey shows and agricultural fairs in their region and also plan to enter in the national show given each year by the American Beekeeping Federation. Ribbons and trophies won in shows display the excellence of your honey and other hive and beekeeping products. Ann Harman knows all about how to have a successful honey show. She lives in Flint Hill, Virginia.